COLOGNE, Germany – August 5, 2015 – Activision Publishing, Inc., a wholly owned subsidiary of Activision Blizzard, Inc. (NASDAQ: ATVI), continues to blaze the toys-to-life trail with Skylanders franchise firsts, racing and online multiplayer gameplay on console in Skylanders® SuperChargers, developed by Vicarious Visions. Whether fans prefer co-operative play in Adventure Mode or competitive multiplayer with up to four players in Racing Mode, Skylanders SuperChargers’ online gaming is fueled with adrenaline-pumping action right out of the box. Skylanders’ all-new Racing Mode, playable in Land, Sea and Sky environments, features supercharged racing combat, layering in even more depth and excitement to the game’s online multiplayer component. The high-octane mode is further amplified with all-new time trials, which include three-lap races that take friendly competition up a notch as players battle for the best time score on the leaderboard. 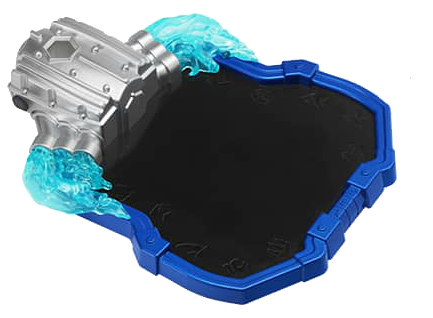 All Skylanders SuperChargers Starter Packs will come loaded with six dynamic race tracks – two each for Land, Sea and Sky. With hidden routes, power-ups, and diverse locations, Racing Mode offers completely new ways to enjoy the game. Whether played in offline split-screen or online multiplayer, gamers can choose the best route to finish a race, trying to avoid attacks along the way as they navigate through dynamic environments. Voice-chat is available with friends for an added layer of excitement. 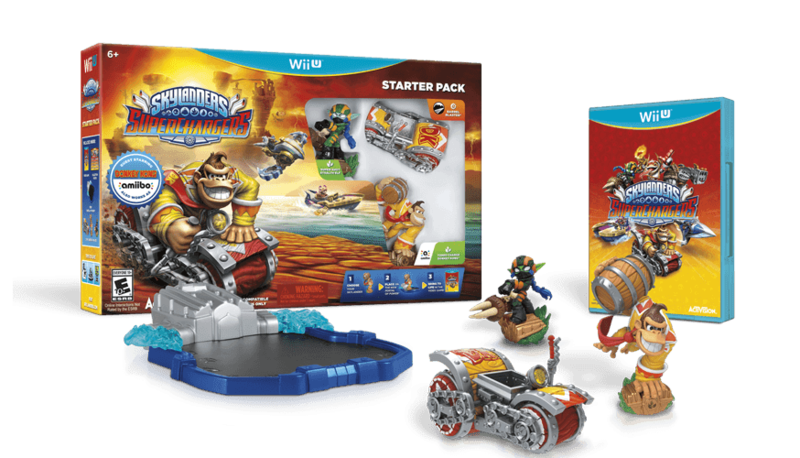 Skylanders SuperChargers continues to rev its engine with the addition of Skylanders SuperChargers Racing Action Packs at launch and beyond. These optional expansion packs, one each for Land, Sea and Sky, unlock even more thrilling racing content for Portal Masters. Each pack comes loaded with three special toys, including a SuperCharger, its signature vehicle and a villain trophy. The villain trophy unlocks two new tracks and new modes, including SuperVillain Cup, Boss Pursuit and Mirror Cup. There are 12 boss villains across all three packs, with four in each pack, which players can defeat and play as. Fans can then store these boss villains on their villain trophy toy to play at a friend’s house. 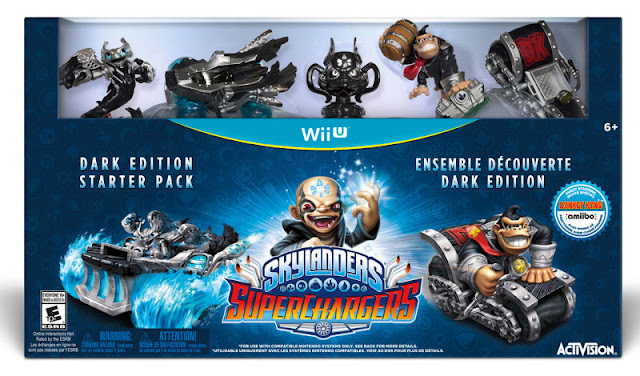 Fans can augment their SuperCharger experience with a complementary, dedicated racing combat game -- Skylanders SuperChargers Racing -- for the Wii™ system and Nintendo 3DS™ hand-held system. All-new tracks, augmented with power-ups, boosts, hazards and more, offer up to 50 different and exciting gameplay experiences. On Nintendo 3DS, gamers can go head-to-head with competitive multiplayer via local play or online with up to four players. 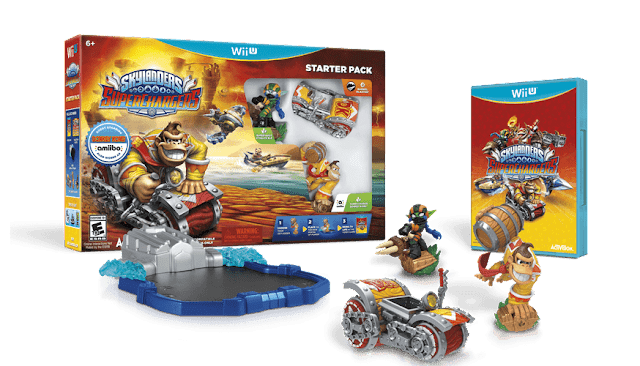 Iconic Nintendo character Bowser™ and his Sky vehicle, Clown Cruiser are available in the Skylanders SuperChargers Racing Starter Packs for Wii and Nintendo 3DS and can also be played on the Wii U™ system. The Supercharged character not only works in Skylanders SuperChargers Racing, but also as amiibo in compatible Nintendo games, so players can store their saved data in both modes with a simple twist of the figure’s base. SuperChargers I was super excited. This all new game has a all new Game portal and the design of this one is amazing. The front is in the shape of an engine and with blue flames coming from the sides. The motor does have a space for the traps that were released in Trap Team. They don't do the same as they did in the previous version but unlock special items in the game. Along the edges in the black are different symbols. The portals are cross compatible between systems and games. You can use previous games version on this game as well which is a great option in case yours gets damaged or lost. The set I received was the Donkey Kong set. Something I learned after it came that had me saying OMG was that DK doubles as an Amiibo for other games (Like mario cart, Super smash bros). So these sets allow for double the fun! 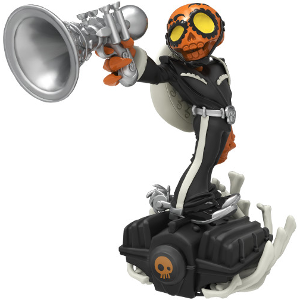 This Halloween they did a limited edition Fiesta Skylander and I had to have it. It was hard to decide though I almost got the regular color one instead because I loved the colors. After finding out the car was a coffin I had to have it too. 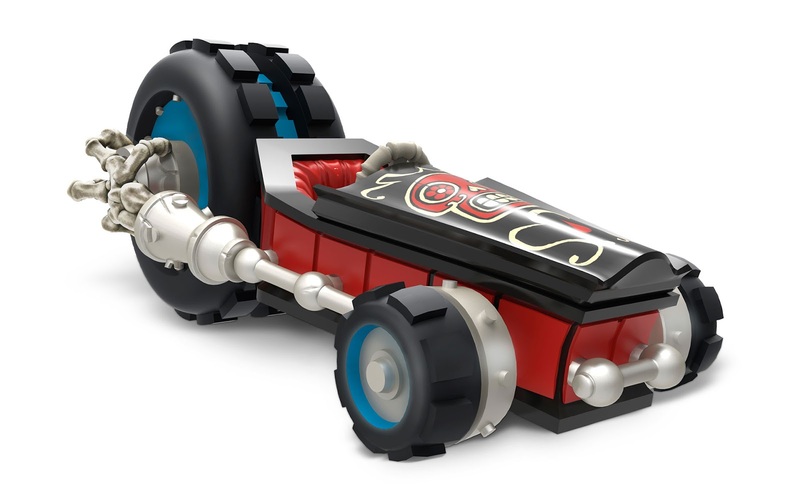 Oh and the cars also double as toys because the wheels spin independently so even more ways to play.I am loving this game and I can't wait to see what skylanders they release next. Until then I am going to be drooling over the Dark set. Buy them on Amazon or at your local retailer.